Cairo blues. It is impossible not to think about the Cairenes at the moment. They are rebelling against a leadership they don’t want. As I am writing these words the news is filled with headlines like “Anger in Cairo” and “Shots in Cairo”. Tourists are clogging up Cairo airport in desperate attempts to go home. This is no longer a place to sightsee. The pyramids in Giza are closed to the public. Cairo is no longer a peeping hole into the past, a place to contemplate history and the ancient pharaos. Today, Cairo’s history is in the making. After having suffered in the hands of Hosni Mubarak for thirty years, the Egyptians have had enough. They want change! My thoughts wander to the man in the photo. Exactly one year ago, we spent some time in Cairo. Discovering the back alleys and trying to decipher the culture. I wonder where this man is today. 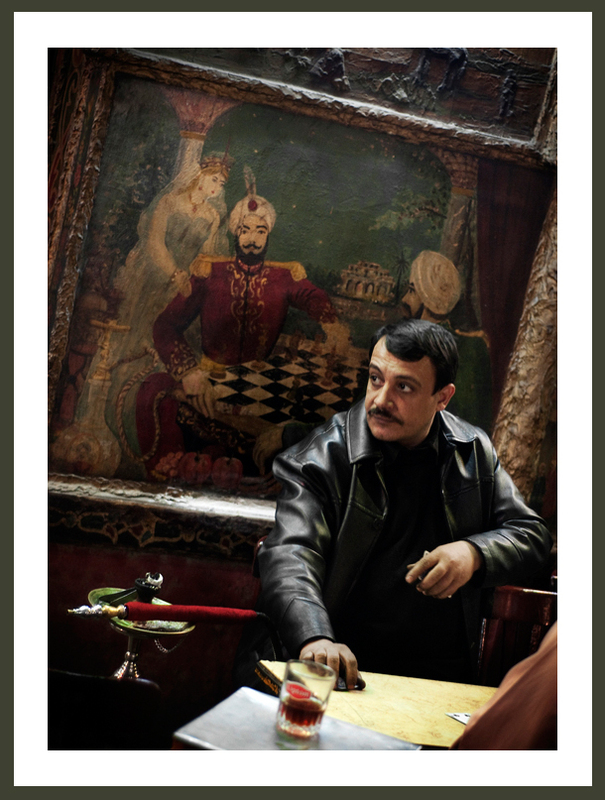 Is he still sat in his café overlooked by images from the past, smoking his shisha? Or is he amongst the protesters in Tahrir square, calling out for a new direction? Morning glory. The flow of warm water slowly wakes me up, the steam it creates penetrates my pores. The temptation of spending an extra couple of minutes in the shower whilst my senses come alive is an easy one to give in to. I go downstairs and make my cup of tea, filling the kettle with clean water is something I take for granted. Meanwhile, millions of women and their children walk more than 14 miles just to get water for their families. 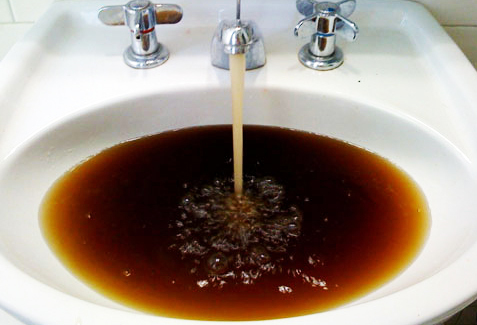 Most of this water is contaminated, but it’s the only water they have. They take the chance of catching diseases like bilharzia and schistosomiasis (parasites) – with every sip. There’s nothing they can do to change it. Maybe we can. I’ve come to realize that the thoughts I send to Africa AS I indulge in my daily shower (I do. Promise) are good for nothing. My sympathy simply doesn’t do the job. It’s time for action and money. And I am happy to say that I’ve taken my first little step towards making a change. David Hogg over at http://mylittlenomads.com/ got me inspired. He is participating in a charity for clean water for children. 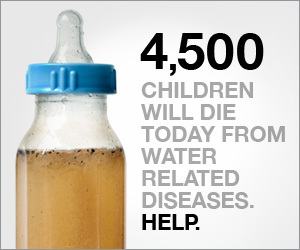 BELIEVE IT OR NOT – Just $20 can give one person clean drinking water for the next 20 years!